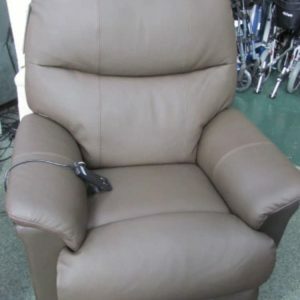 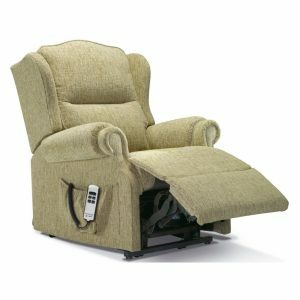 This AJ Way Chatsworth is an ex-demo rise and recliner, It is fitted with a single tilt-in-space motor meaning that the back and feet of the chair are adjusted in a single, synchronized motion, allowing the user to raise their feet above their hips without entering a fully reclined position. 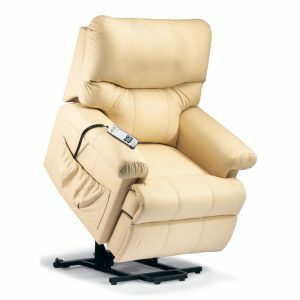 The Tilt-in-Space aspect to the motion means that the recline, maintains the angle of the user’s hips to the chair, spreading the the user’s weight is spread over a larger area, reducing pressure issues. It features a choice of either a comfortable waterfall back or a supportive button back. 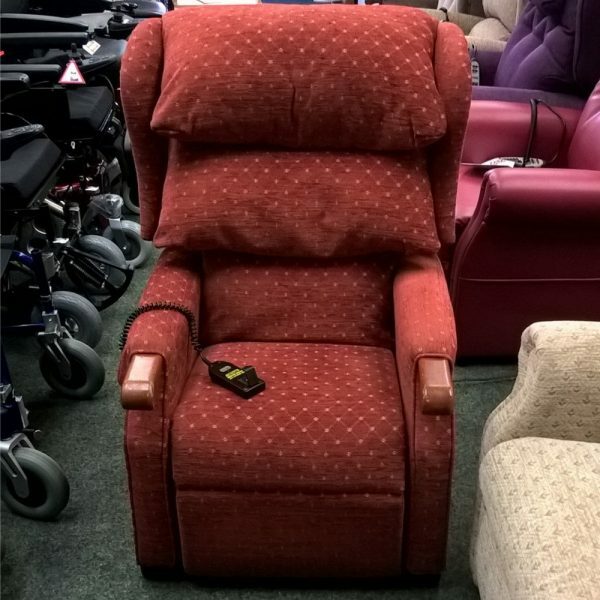 It is finished in a terracotta diamond fabric. 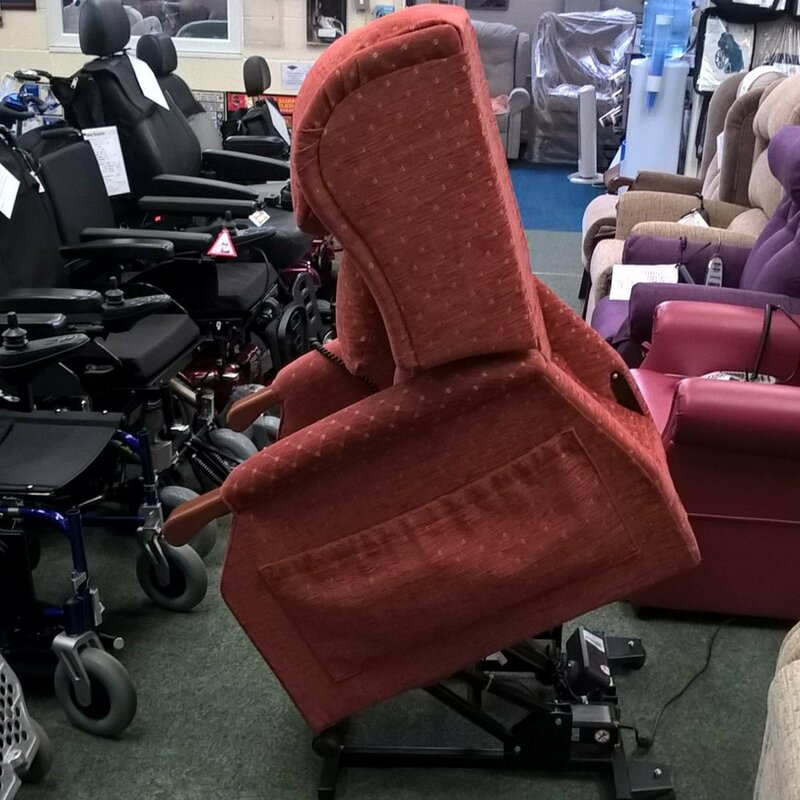 This particular chair is an ex-demo model and has been used for display purposes,it has been fully serviced and tested by our Workshop Team,ensuring that it is in its best possible condition. 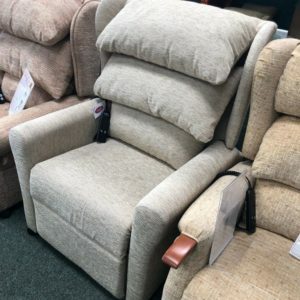 This chair is guaranteed for 12 months from date of purchase.